Athletes and coaches can leave training feedback to each other on Sportlyzer. Take a look below how that works. How to leave feedback to athletes and parents (as a coach)? Coaches can leave feedback to athletes and parents while marking attendance on the web or mobile Coach Diary app. Just go to Calendar -> Attendance and while marking athletes as present or missing, add a comment about how they participated or why they were missing. Athletes and parents will see the comments on their phones in the Player App and in the Parent App under the attendance summary. How to leave feedback to coaches (as an athlete)? 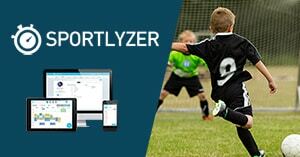 Advanced athletes who log and analyze their training on Sportlyzer can also leave training feedback to coaches. When adding a new session to your diary on the web or mobile app (Pro Player App on Android or GPS Sports Tracker on iPhones), just add a comment to it. Coaches will see the comments in the athletes diaries (Coach entry -> Athletes -> Athlete profile -> Diary). Coaches can also access the diary from Coach entry -> Planning -> Choose athlete from the top left -> Diary. How can I save test results as a PDF file?